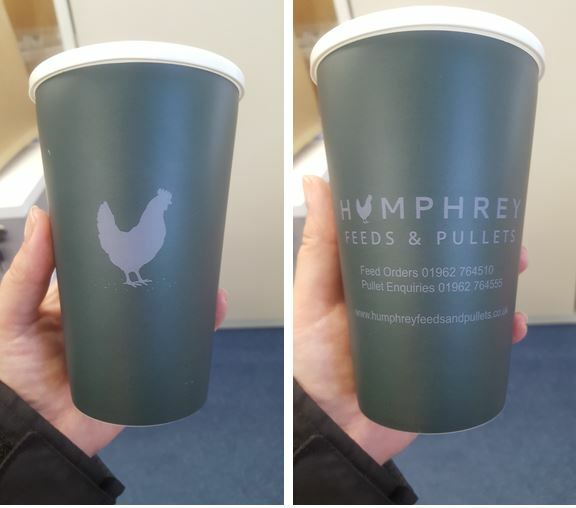 Humphrey Feeds and Pullets, the UK's only specialist poultry feed and pullet supplier recently ordered some branded reusable mugs as a customer giveaway. 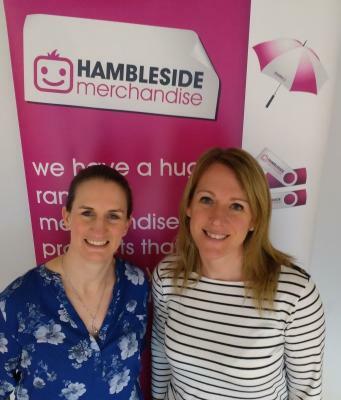 They decided to go for a reusable takeaway mug because they wanted a product that would be useful to their customers and something they would use regularly. A promotional gift delivers its full impact when the recipient finds it useful. Humphrey Feed and Pullets customer’s spend the majority of their day outside so would appreciate a warm drink in a nice branded mug. By giving a branded gift to your customer’s it makes them feel appreciated and creates loyalty to your brand. The most important factor for Humphrey Feed and Pullets was they wanted their branding on the mug to be strong. Travel mugs have a great branding area and come in a wide choice of colours which makes them a popular and effective choice. Humphrey Feeds and Pullets branded reusable mugs have gone down well with their customers. The mugs have proved to be a big hit following an Instagram post where a lot of customer’s requested a mug to use. Humphrey Feeds and Pullets now know that they are keeping their brand in front of their customers on a daily basis, every time they have a drink. Promotional products are great for raising brand awareness, acting as a constant reminder of your brand.